Pino and his family made the move from Dallas to Austin four years ago and have since established Heart Of David—a hub for like-minded creatives and worshippers. Heart of David is home to a ministry school, a house of prayer with daily worship and prayer sets, and a weekly outreach to the city. In addition, Heart of David sends missions teams and associates to an average of 25 nations each year. 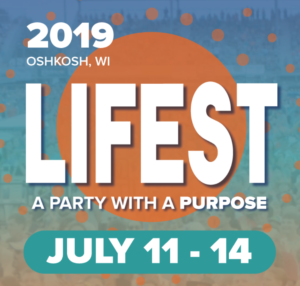 The organization also hosts the highly-anticipated PRESENCE worship festival every summer. The next phase of the movement will begin this summer as Pino and his musicianary crew plan to launch Heart of David (HOD) Global, a presence-driven, relationship-based worship network. “Now that our local base is becoming established, we have a vision to branch out and see a worldwide community of like-minded, like-hearted people who want to host the presence of the Lord in their city, who want to train and equip the Davids and who want to see the earth filled with worship,” Pino explains. Despite amassing an impressive underground following through his consistent touring and independent album releases, Pino maintains strong relationships with numerous mainstream worship leaders who have become the face of the modern worship movement. A key component of the fresh prototype he’s crafting is focused on continuous worship hosted at Heart of David in an effort to create a space where people can experience the true meaning of Church and the fact that it doesn’t have anything to do with an actual building. Putting this Scripture into action, with a heart rooted in worship, Pino has made his original music accessible to broader audiences through a series of eight independent releases—a mix of studio and live recordings. His latest, Rend The Heavens, is a live project that captures the raw, unbridled chemistry of the evening through original and spontaneous moments of worship. The album debuted on the top of the iTunes Christian chart in the company of new releases from Kari Jobe, Hillsong and Passion. With no overdubs, Rend The Heavens remains an untouched glimpse into a typical worship gathering led by Pino. Ironically, the album’s most powerful moment doesn’t come in the form of a song but in a spoken-word testimony track where Pino candidly shares his family’s personal story of longing for a second child. After the birth of their daughter, Pino and his wife struggled with infertility for six years. Yet, the medical advice they were given didn’t align with the spiritual guidance they were receiving. Years of faith, prayer and prophetic words from trusted friends (and even strangers) eventually brought about the miraculous birth of their son. Today, Pino and his wife take their two children with them as they travel the globe. “We really value our children growing up in the Presence, and also having a global worldview of what God is doing all across the body of Christ, not just in America,” Pino says. For all the latest information on Rick Pino, Rend The Heavens (Live), touring, Heart Of David and more, go to http://rickpino.com/, http://www.heartofdavid.org/, Facebook, Twitter and Instagram. Renowned worship leader, author and pastor Darlene Zschech releases the Here I Am Send Me CD/DVD globally today (March 3) from Integrity Music. Available now at digital and physical retailers, the album was recorded live with her team at Hope Unlimited Church on the Central Coast of New South Wales, Australia, and features 11 new songs penned by her along with guest writers like Martin Smith, Paul Baloche, Jenn Johnson and Leeland Mooring. Here I Am Send Me is Zschech’s first project following a life changing cancer diagnosis in 2014 and her first new album since 2013’s critically acclaimed Revealing Jesus. Produced by Andy Mak, the new recording opens with a full-on declaration of the greatness of God in the song and first radio single from the recording, “You Are Great,” written with Smith (Delirious?) in response to the most challenging season of her life. Following this opening track, the album proceeds to take listeners through a journey declaring God’s greatness, love and call, and gives worshippers a voice of response. It features “You Will Be Praised” written with Baloche and Johnson, “Beloved,” a modern hymn of surrender co-written by Zschech with Mooring and Casey Moore, “Love and Wonder” written by the Zschech’s teen daughter, Zoe,and Bonnie Gray, “Kingdom Come” co-written with Thomas Macken, and “Go” written with Mak. “Go” closes the album and serves as a song of commissioning along with the title track, Here I Am Send Me. Sharing the new music live around the globe, Zschech will be featured at the Devoted Women’s Conference today and tomorrow (March 3-4) in Virginia Beach, VA before heading to Ghana for the nation’s 60th Anniversary of Independence on March 6. She will also be featured at the Cherish Women’s Conference 2017 June 1-3 in Bradford, UK. In addition to her touring, Zschech and her new music are gathering current and upcoming covers, features and reviews in media outlets like Charisma, CBN News, Simple Grace, “The Boundless Show” (Focus On The Family), “100 Huntley Street,” CCM Magazine, Leading Hearts, Worship Musician and more. For all the latest Darlene Zschech album and tour news, visit www.hereiamsendme.org, http://darlenezschech.com, Facebook, Twitter and Instagram. A trailer for the Here I Am Send Me DVD can also be viewed at www.youtube.com/watch?v=i1HL7lWLdlQ. Darlene Zschech is an Australian worship leader, pastor, speaker and author. She has written over 100 songs, including “Victor’s Crown,” “In Jesus’ Name,” “Worthy Is The Lamb,” “At The Cross” and the global anthem “Shout To The Lord,” a song that is sung by an estimated 30 million churchgoers every week. She is most passionate about her family, and continually makes a strong stand about the importance of marriage, motherhood (and grandmotherhood) and ministry. She has also penned best-selling books including Worship Changes Everything, Revealing Jesus, Extravagant Worship and The Art of Mentoring. Zschech and her husband Mark serve as senior pastors of Hope Unlimited Church on the Central Coast of New South Wales and together they founded HOPE:Global to serve the poorest of the poor. Integrity Music is part of the David C Cook family, a nonprofit global resource provider serving the Church with life-transforming materials. With offices in Nashville, Tennessee (US) and Eastbourne, East Sussex (UK), Integrity is committed to taking songs of substance to the local church and its leaders around the world. Integrity publishes many of the top songs in the Church, including “Great Are You Lord,” “Revelation Song,” “Open The Eyes Of My Heart,” “Your Great Name,” “I Am Free” and the No. 1 radio hit “We Believe” (Newsboys). Additional information is available at www.integritymusic.com. Nashville, Tenn. (Mar. 3, 2017) – On the heels of “Open Hands” sitting atop Billboard’s Soft AC Chart for seven weeks, GRAMMY® winner Laura Story’s fifth album, Open Hands (FAIR TRADE SERVICES), is available now. A fresh collection of originals, Open Hands blends Story’s signature congregational worship music with intimate moments. In addition to collaborating with fellow GRAMMY® winner Mac Powell of Third Day for the chart-topping title track, Story also teamed up with Matt Maher and Matt Redman, penning a track found on Open Hands. Last night, Story performed at NRB Proclaim 2017’s Closing Gala Dinner alongside renowned theologian Dr. RC Sproul. Story will be in Minneapolis today where she will be leading worship at Set Apart Women’s Conference with best selling author Ann Voskamp. Throughout the spring, Story will be performing across the country in New York, Virginia, Florida, Alabama and more. For her latest tour schedule, visit laurastorymusic.com/tour/. GRAMMY® award winning artist, speaker, songwriter, author and worship leader Laura Story has a gift for penning songs that connect with people all around the world. Among her successes as a solo artist with her smash hits “Mighty To Save” and “Blessings,” Laura has also penned hit songs for other renowned artists including Chris Tomlin’s “Indescribable.” Her solo artist music debut in 2008 with Great God Who Saves led to four Dove nominations and the award for “Inspirational Album of the Year.” In 2011, Laura released her sophomore project Blessings. The album and the emotionally powerful title was inspired by her real life trials and adversities, primarily her husband Martin’s diagnosis of a brain tumor. The album resonated with a huge audience and led to whirlwind career highlights for Laura, peaking at the No. 1 album spot for three consecutive weeks on Billboard’s Contemporary Christian Overall chart, topping the iTunes® Christian/Gospel Top Songs chart and holding the No. 1 spot for an impressive 28 consecutive weeks on the Christian charts. The success of the single “Blessings,” which was certified RIAA Gold, includes the GRAMMY® Award for Best Contemporary Christian Song, the Billboard Music Award for Top Christian Song and the Dove Awards for Song of the Year, Pop/Contemporary Song of the Year, Pop/Contemporary Album of the Year and Songwriter of the Year. The song inspired Laura’s first book, “What If Your Blessings Come Through Raindrops?” in 2012. A follow-up book, “When God Doesn’t Fix It, Lessons You Never Wanted to Learn; Truths You Can’t Live Without” and companion bible study DVD and study guide, released last year. God Of Every Story released in 2013 to much acclaim, and her first ever Christmas project God With Us, debuted in October 2015. Open Hands is available now. Laura is a worship leader at Perimeter Church outside of Atlanta, GA and lives with her husband Martin and three children.